As some of you may know, my New Year’s resolution was to try and read 75 books this year. I hadn’t counted on spending 5-6 weeks with “Atlas Shrugged”, so my chances of reaching the 75 book plateau are slim to none. I also hadn’t planned to start blogging and writing book reviews. Like they say in football, that’s why we play the games. After starting off strong with writing reviews, I began to turn my creative bones to other writing opportunities. A little personal reflection here, a music review there – couple that with trying to keep up with my day job and see my family once in a while, and I find that I have fallen woefully far behind on book reviews. There’s simply no excuse for it, nor is there any way I can reasonably expect to get caught up with in-depth analysis and opinion on every book that I’ve managed to read but not review. So, I have decided to cheat ever so slightly and partake in the speed dating equivalent of book reviewing – the mini review. Think of it as the little blurb you read about a new book in Entertainment Weekly. 100 words or less – great taste, less filling. I’ll leave it to you to tell me if I’m any good at it. Although published as book, this is really a glorified short story (not quite making it to novella status). It’s what you expect from King – comfortable and well written. 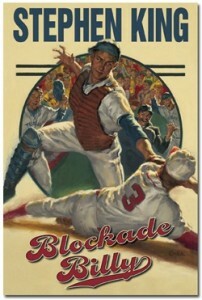 It follows a baseball player in the 50’s – “Blockade Billy” – and his improbable run in the major leagues. Full of nostalgia for the game, King’s signature, and a not completely unforeseen twist ending – this was a good day’s read. As a bonus, the short story “Morality” is included. I rather enjoyed its take on the nature of one’s morals, and exactly how far “too far” is. One of the most anticipated and disappointing books I’ve read all year. 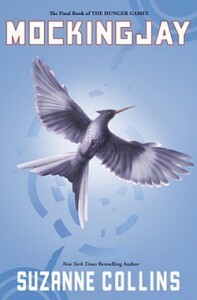 The last volume of “The Hunger Games” trilogy fails to deliver on the promise of the first two volumes. What started strong with “The Hunger Games” runs out of creative steam here. The triangle between Katniss, Peeta, and Gale disappoints, and the ending of the story was flat, clichéd, and generally unfulfilling. Read the series – but read it for the first two volumes. Evidently it is far easier to start a high concept story than it is to end a high concept story. This was a good airplane paperback find. It started rough – far too packed with technical jargon and creature detail – (“the urethra from each kidney empties in to the cloaca”) – but it came on strong in the end. An undiscovered island is packed with lethal plant and animal life that has evolved without outside influence for millions of years. 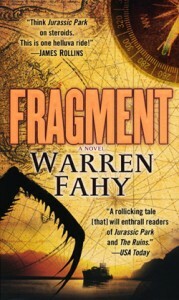 Part “Jurassic Park” part “Journey to the Center of the Earth”, this was a fun read. Lots of action and a message that the earth really isn’t all that fragile. This is a well written, researched, and footnoted accounting of Obama’s first 18 months in office. 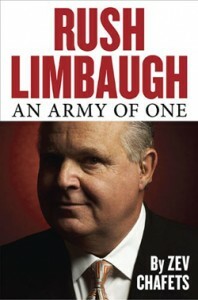 Limbaugh lays out a convincing case of Obama’s disregard for the will of the American people. My one complaint is that little new ground is covered. 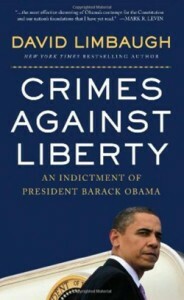 If you are politically aware and observant, most of the content in this book will be familiar. For those not as versed in the politics of the day, Limbaugh provides a great service by compiling and presenting his case for the major faults that underlie the Obama administration and “mandate”. It’s a book well worth the read.